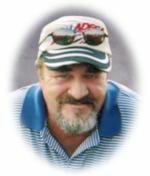 Billy Jack Lee Jr. age 53 years, a resident of Dunreith, passed away Monday, November 8, 2010 at his residence. My condolences to Becky and the family. Robin and Family: We are so sorry for your loss. May God be with you and your family. If there is anything we can do for you do not hesitate to call us. I worked with Billy at the New Castle plant and also at Kokomo. I was upset to hear the news of his passing. Billy was a good friend and I will miss his friendship. May God be with Billys family and God bless Billy. Robin Carter you and your family are in my prayers. My prayers and thoughts are with you at this difficult time. You may not recognize my name, but you would know my face as I work at the blind school. To the Lee family we are all very sorry to hear about your loss. He will be missed greatly. He was an amazing person,and father. Just keep all your heads up, and if you need anything dont hesitate to call or stop by.. I'm sorry for the loss of a great man. I worked with Billy in Dept 9110 @ KTP for only a year, but I remember how friendly and helpful he was to me when I came into the department. I also remember how he always asked about my family, which I much appreciated. Heaven has gained a great man. Becky I am so saddened for you in the loss of your life's partner. Know that my thoughts and prayers are with you. I always enjoy talking to you at work. I will be there for you if you need me. God is faithful and He will give you strength and courage even though it doesn't seem like it now. My thoughts & prayers go out to you all at this sorrowful time. We just lost my brother, Steve, on Oct. 22nd, so I know what you're going through. May God bless you with His sweet peace & comfort.